Whether you work from home in a busy neighborhood, or in a bustling office, chances are that there are numerous drains on your productivity you have to battle every day. They can be so inconspicuous (but no less annoying) that you don’t even notice them until you have a throbbing headache to deal with. However, instead of letting these little and large distractions get in the way of brilliant brainstorming sessions and fast-paced work, you can prevent many a mishap with the right tech. Let’s take a look at a few must-haves for the modern worker that will simplify your daily grind and help you ditch the most common sources of distraction and energy-waste. The fact that we live in the 21st century never stops our fancy laptops from getting low on battery power precisely in those crucial moments when you need them most. Plus, we still experience electricity issues from time to time, making laptops our number-one choice for work. So, in case you have no spare socket to charge your laptop, or any other device for that matter, you should have a power bank at your disposal. These handy devices can store tremendous amounts of energy, and some are designed to power up to three devices at the same time. If you travel for work, you’ll also find them a perfect pick for such occasions, so that you can stay productive on the go! If you find yourself squinting at the screen too many times per day, you might be causing yourself a headache as well as eyestrain. If it’s possible, increase natural light in your office, by adding more windows or at least keeping the blinds open for as long as possible. On the other hand, late hours require some extra effort, so you should invest in LED lights that will keep your office perfectly illuminated. Another common productivity-buster in any office is the incessant noise. It can be the construction site from across the street, the chatty colleague in the next office, or simply the chatter and the common office noises that get in the way of working. If you cannot change the environment, you can absolutely make it more comfortable for yourself! For instance, getting a pair of high-quality wireless headphones to tune out the noise can help you stay focused, plus you can listen to subtle music of your own choice while you work. If there’s an important client call on your schedule, having headphones will make it easier for you to focus and listen without getting agitated by the outside noise. We all know that sitting down for hours on end can wreak havoc on your health, as well as productivity. Especially for those fidgety souls among you, staying seated can actually be all it takes to ruin your focus. A standing desk paired with a treadmill, however, will help you increase your energy, improve your focus, and most importantly, keep any aches and pains at bay. A gentle stroll while you work is all you need to put your mind in work mode and prevent many a health issue associated with a sedentary lifestyle. Keep in mind that your office desk should be well organized in order to maximize productivity. 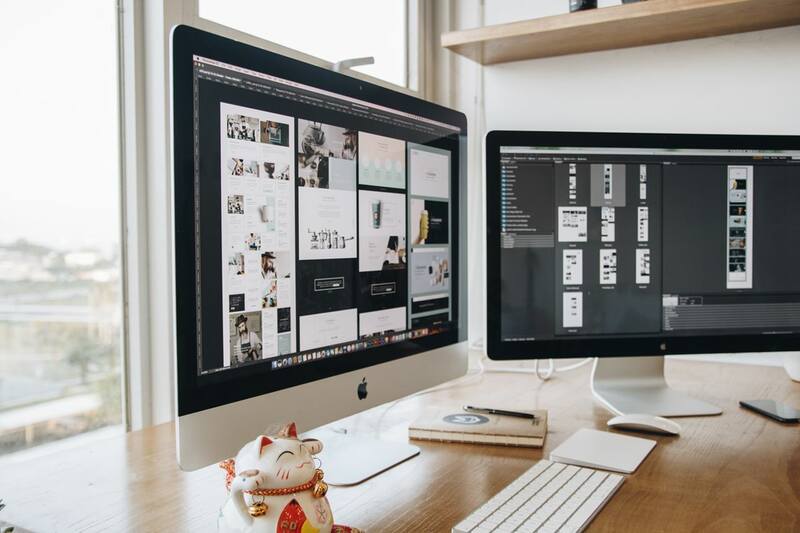 People who work with a slew of different data every day and end up using a multitude of tabs for a single project can make use of dual monitors at their desks. This is a significant time-saver for those who, for example, need to conduct research and reference important sources – making one screen perfect for completing the research, while the other can be used for citing material. On a different note, having a Skype call with a client can make it a hassle to dig out important data, but with an extra monitor by your side, you can prepare the information beforehand and keep your meetings as productive as possible. What sort of an office would it be without a proper coffee maker at your disposal, right? After all, few things can get you warmed up for a long meeting, a tough project, or an important pitch like a cup of freshly brewed coffee. It’s the best pick-me-up for any challenge, and a delicious productivity-booster. You can choose from a wide range of available coffee makers, some of them serving many different kinds of sips, so that you can keep your palate interested. Another perk: coffee helps you steer clear of unhealthy snacks, so you’ll make another healthy commitment by sipping on some java. Have you ever had an issue with a coworker complaining about the office being too cold or too hot? You might even recognize yourself in that description. However, while you cannot possibly make everyone happy in this scenario, science has spoken, and it seems that the temperature around 70-73 degrees Fahrenheit is ideal for office productivity. Instead of waging a silent war on others at the office, you can use a smart thermostat that will adjust the temperature to this productivity-perfect level. 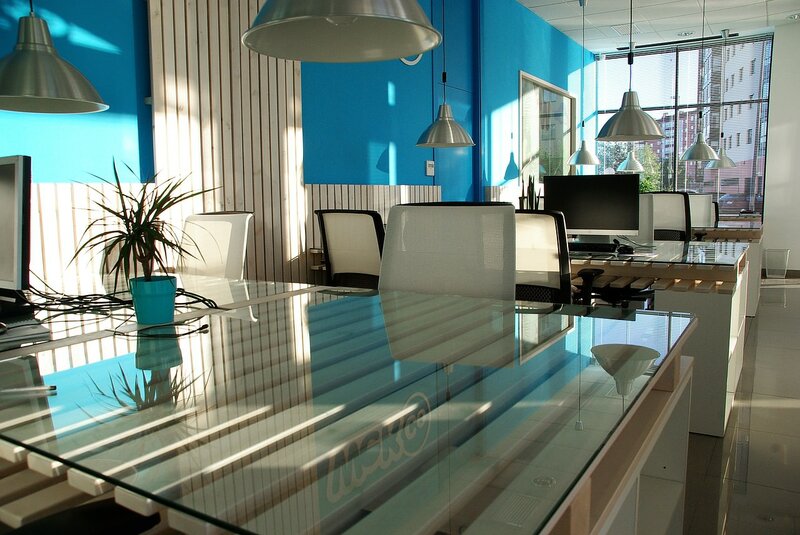 A little can go a long way in creating the perfect office space for you and your colleagues. Make the most of the latest tech advances, and you’ll be able to turn your office into a powerhouse of productivity! Lastly, always ask yourself is your office eco-friendly as it should be?